Students are presented with a unique opportunity to work with two of Australia’s premier glass artists; Tom Rowney and Kirstie Rea in the roll-up / cold working class. 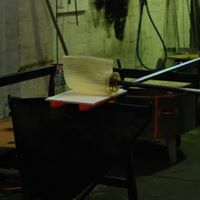 The roll-up (fused and blown process) technique has been adapted from Venetian murrine cane pick-up technique, used by glass blowers for centuries. Traditionally, glass blowers would pick up pieces of pre-formed glass cane to decorate glass vessels. The adaptation of using pre-fused panels of glass was developed and has been termed “roll-ups”. 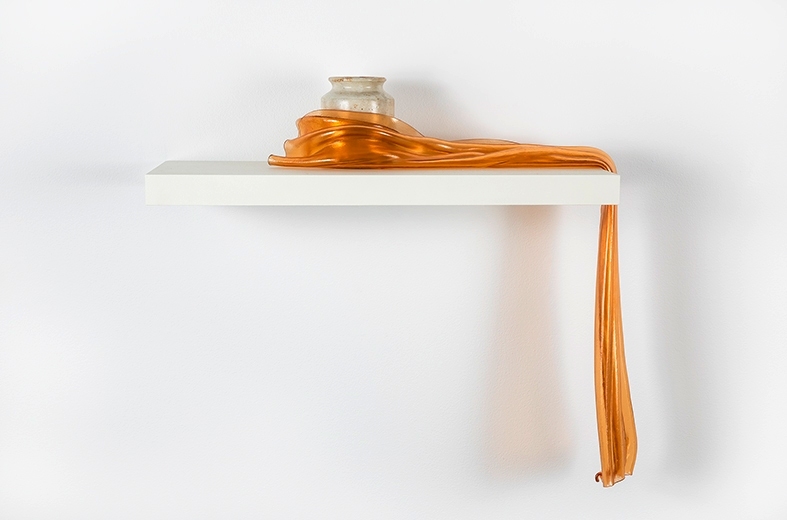 Rollups are a unique way to get form into fused glass. Flat tiles are fused, then picked up on a blow pipe in the hotshop and blown into a 3D form. It offers a point of difference to standard blowing as controlled designs can be achieved. 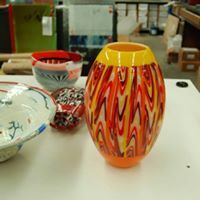 Students will work with Tom for two days in the Melbourne Studio of Blue Dog Glass to make two fused tiles and two murrine stacks that will then be taken up to Canberra Glassworks where they will be formed into a vessel/ blown form. Tom and an assistant will be directed by students to create forms of the students’ design. Students won’t be blowing the work but they will be participating as a collaborator/designer to see their designs executed. Murrines made in the workshop can be cut up in preparation to be used at a later date in future fused glass projects. Often forms made in the hotshop from solid Bullseye colour come out of the annealer with work to be done to the surface, lip/rim or base or all three. Canberra Glassworks has an amazing cold shop in which to address this. Students will address the whole form – surface/lip/base – using a range of machines and processes including the cutting lathes, engraving lathes, linishers, flat beds, engravers, sandblasters and hand finishing processes. You will be guided through which machine is the best for whatever area of the form you are working on. Different wheels, belts and grits for each will be discussed and demonstrated. The aim is to have examples of each to show you. Starting with an induction to the area and a general introduction to what is possible on each machine, you will then have time to consider and discuss what you would like to achieve. Some of you may have prior experience on some machines but the class will be introduced to the facilities from the beginning. You may already have ideas about what you can do so bring them along. Please note that this class does not automatically grant participants full access to the coldworking facilities at Canberra Glassworks on an ongoing basis. The Glassworks has a Steps to Induction program. Depending on prior experience potential hirers can be assessed at level 1, 2 or 3 with level 4 being a fully inducted hirer. The Glassworks has a number of mentors for each area who (often along with Tom) can assess where a potential hirer sits. If more training and or mentoring is required then a session is set up through the artistic program manager with mentor and potential hirer. This can be anything from 3 hrs to days and there is a cost attached. At the end of the class Kirstie can assess individual students to see where each fits into the induction program. If you have cold worked before you may well be ready for induction which is free. If not Kirstie will recommend a class or mentor session. It is a system to make sure everyone is safe and all the machines are being properly used. 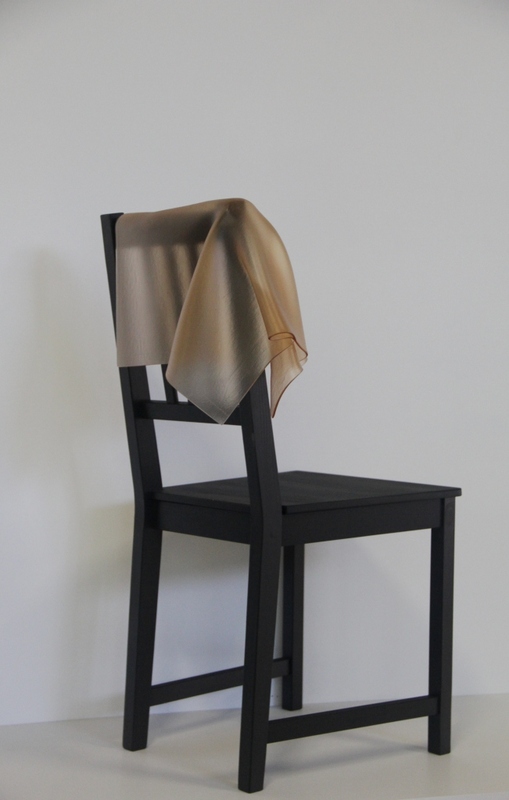 Students will make two pieces in the workshop and will gain valuable knowledge into the production process, which they will be able to draw on in future works. All materials are included in the workshop fee. Bullseye Glass will be used in this workshop. Students will meet in Canberra at Pinnacle Apartments at noon on Wednesday. From here we will have a group lunch and do apartment check-ins, before being bused to local glass artists’ studios, galleries and finally the James Turrell installation at dusk. Classes will start at the Glassworks at 9.30 am on Thursday morning. 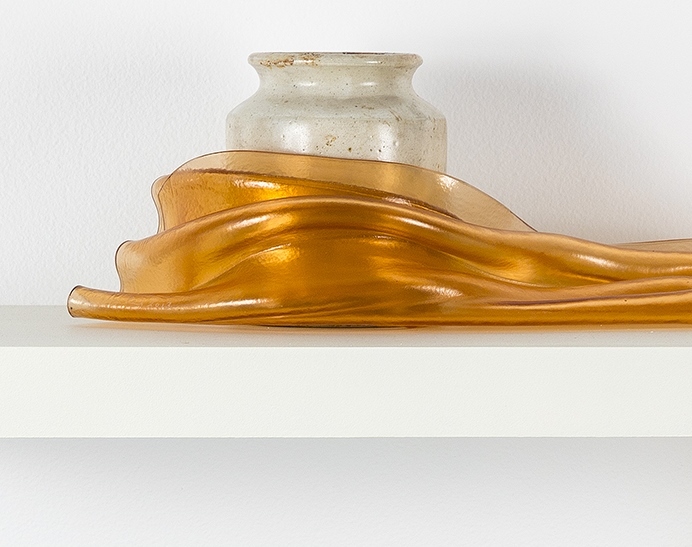 Having established her studio in 1987, following her graduation from the Glass program at the Canberra School of Art, Kirstie has over the past 29 years continued to develop her practice to become internationally recognised and respected for her works in glass. 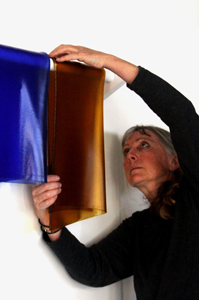 She has exhibited widely internationally and her work has been included in numerous Australian Glass survey shows. 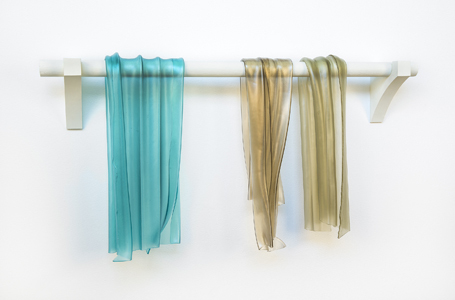 In 2009 Kirstie received the Ausglass Honorary Life Membership Award, in 2014 was awarded the 2015 CAPO Fellow Award (Canberra Arts Patrons’ Organisation) and in 2016 received the Canberra Glassworks Fellowship. Tom Rowney began his glassmaking career at the Budgeree Glass Factory in Port Adelaide, SA as a trainee with glass artist, Nick Mount. 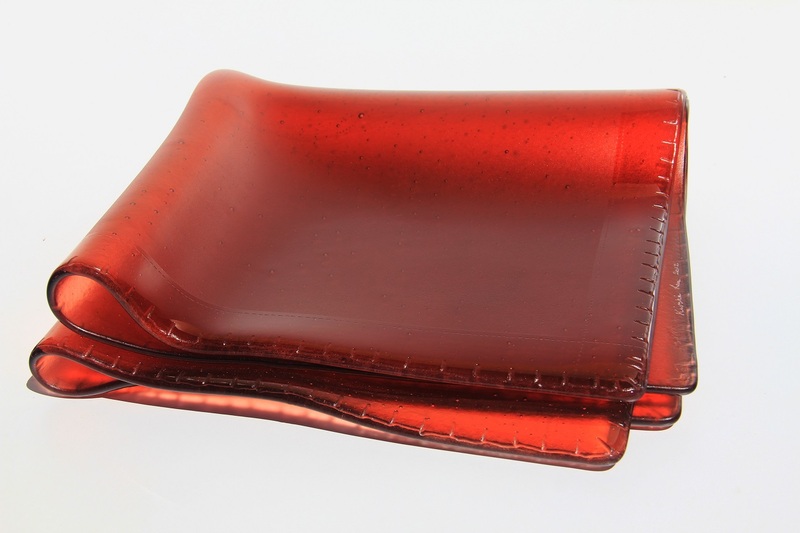 Following Tom’s graduation from the Australian National University (ANU) School of Art in 1996, he worked for many fellow glass makers including Ben Edols and Kathy Elliot. 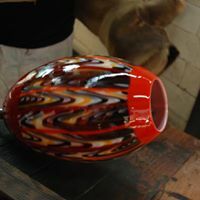 Tom is one of Australia’s foremost glass blowers and has great passion for creating contemporary glass forms utilising the precision and accuracy of techniques developed by the Venetian masters. Tom continues to be sought for both his teaching and glassblowing skills by the leading glass studios and artists in Australia and overseas. He exhibits his personal artwork both nationally and internationally. preparing glass tiles for rollups, preparing glass for murrine. Using colworking equipment: engraver, lathe, sandblaster, saw, linisher, flatbed and hand finishing. Various demos and tours.